Today, the Hungarian National Assembly has passed legislation regarding the operation of non-EU universities in Hungary. 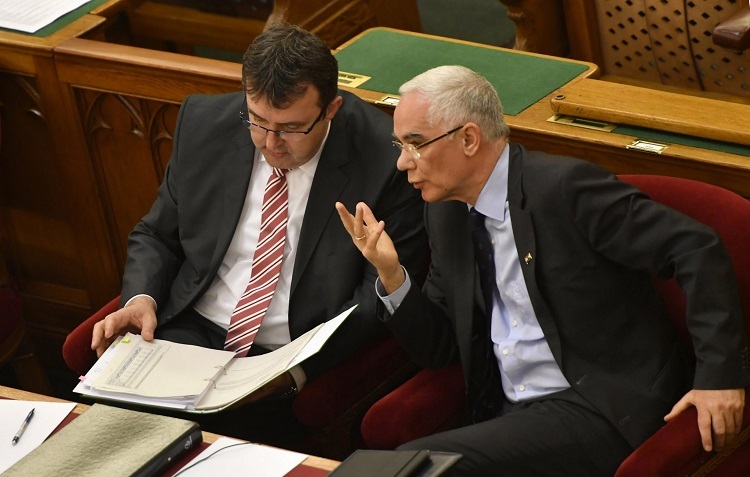 As we have previously written, last week Zoltán Balog, Minister of Human Resources, submitted a bill to the Hungarian Parliament based on claims of “irregularities” found in the operation of foreign-based universities. And while it is not specifically named, it has been widely noted that the legislation seems to target one institution in particular: The Central European University (CEU). The legislation which passed today would force CEU to open a campus in New York State (where it is also accredited) and change its name; it would also eliminate a waiver that allows academic staff from non-EU nations to work at the university without a work permit. CEU has said provisions in the new law are specifically meant to damage the university, and may make it impossible for it to continue operating in Hungary. 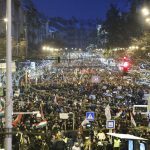 This past Sunday, a huge demonstration was held in Budapest in support of the Central European University, and in protest against the ruling Fidesz-KDNP coalition’s legislation. The bill passed with 123 voting in favor, 38 against, and 38 abstaining. With the exception of 8 MPs who were not in attendance, all Fidesz and KDNP members voted in favor of the legislation, while representatives of the Socialist Party (MSZP), Politics Can Be Different (LMP), and 7 independent MPs voted no. 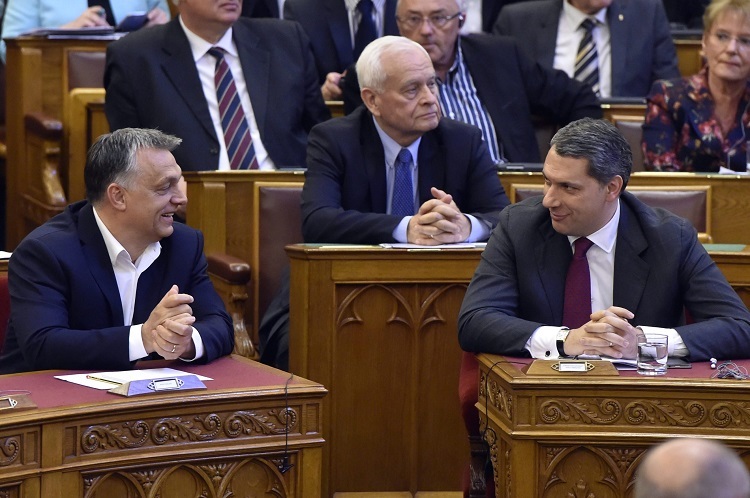 The entire Jobbik bloc abstained from voting, while the Democratic Coalition (DK) boycotted the vote entirely. Before coming into legal force, the bill must still be signed by President of the Republic János Áder, who now has one of three options: to sign the bill into law as it is, to return it to the Parliament for further deliberation, or to send it to the Constitutional Court of Hungary, which would rule on the underlying constitutionality of the legislation. Áder now has five days within which to decide what action he will take; if he chooses to turn to the Constitutional Court, it in turn must issue a decision on the legality of the bill within 30 days of receiving it. In its ruling, the Court can strike down any and all parts of the law that it finds to be unconstitutional, or it can accept the constitutionality of the legislation. Even if Áder chooses to sign the bill into law, the legislation could still find its way before the Constitutional Court, if either one-fourth of MPs, the Head of the Supreme Court, the Attorney General, or the Commissioner for Fundamental Rights requests it. Politicians, academic institutions, and researchers around the world have expressed their support for CEU and their condemnation of the Hungarian government’s actions; the list of CEU supporters stretches from Hungarian EU Commissioner and Fidesz member Tibor Navracsics, to the President of the Hungarian Academy of Sciences, to leaders at international universities like Princeton, Oxford, and Duke, to the US Department of State, to 17 Nobel prize winners and hundreds of prominent academics. If we want to be a lighthouse in the world for the rule of law and for human rights, then we cannot ignore, when these foundations are shaken in the midst of Europe. Europe, then, must not be silent, when civil society, even academia – as now at Central European University, Budapest – are deprived of the air to breathe. Hungarian opposition party members have promised to challenge the legality of the legislation in court, and have said that they will go all the way to the European Court of Human Rights if necessary. As Hungarian newspaper Magyar Nemzet points out, however, such a legal procedure could take years, and in such a situation the law would still be in effect while under legal challenge. 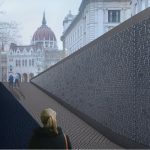 Last Friday, Hungarian Prime Minister Viktor Orbán justified the “Lex CEU” bill by claiming that the university, which he repeatedly referred to as “George Soros’ university,” had violated Hungarian regulations, and in addition was operating with an unfair advantage with its granting of degrees accredited in both the United States and Hungary. CEU has rejected such suggestions as pure fabrications, and has stated that “contrary to the prime minister’s remarks”, there is no law currently in effect in Hungary demanding that universities must also operate in their countries of origin in order to award degrees in Hungary. The university said it has accreditation to award both Hungarian and American degrees. CEU said it has operated in the Hungarian higher education sector, complying with all of its rules, for 25 years, adding that any statement that said otherwise was untrue. We want to express our deep disappointment with the actions taken by Hungarian parliament. We demand respect for freedom of education, freedom of research and learning. We urge the politicians to respect the voice of Hungarian citizens who gathered in thousands on Sunday afternoon. 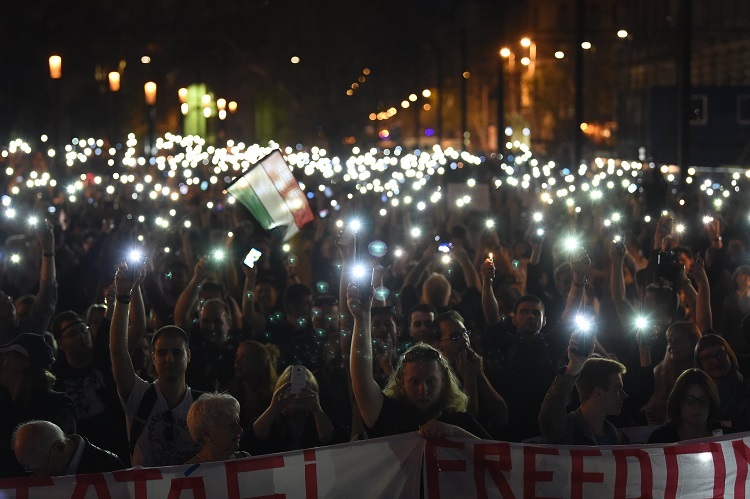 We, Hungarian citizens, supported by wide international community, will urge Janos Ader, President of Hungary to exercise his right and submit the proposed bill to the Constitutional Court of Hungary for consideration. UPDATE: In response to today’s Hungarian legislation, the Central European University (CEU) has issued a press release, condemning the Hungarian Parliament’s passage of amendments to the Hungarian national law on higher education. Read more here!